Remember when there were only two types of gas and they both had lead in them? Fixing cars were also different back then. No "on-board computers" or electronic circuits. 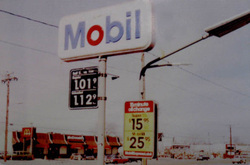 And so did Mobil in Hicksville. We have grown over the years, adding more and more services. 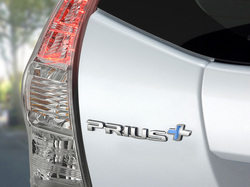 Our Auto Services today encompass everything from unleaded gas to fixing hybrid cars. We have on-line appointments, complimentary drop off/pick up service within 5 miles when you have your car repaired with us, complimentary multi-point inspection with every service, extended hours Monday through Friday if necessary and we are open Saturday. Don't ignore those engine lights! Stop in or set up an appointment on-line and have Mobil Hicksville check things out. Our Car Repair Shop can fix things before they become a major problem. Don't hesitate to bring your car in for a strange noise, an oil change, tune up, state inspection, new battery, new tires, new wipers, new tail light bulb, and of course, that check engine light. The human body should get six glasses of water a day! 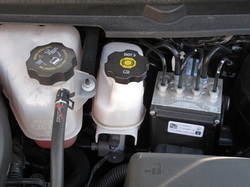 Your car doesn't need a daily dose of fluids, but the fluid levels must be checked often. Not in a Blue Moon. * Stop by our Repair Shop. * A Blue Moon is a term used when there is a Full Moon twice in one month. This only happens once every 2.5 years. 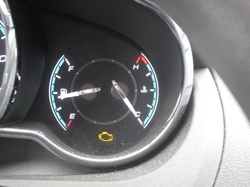 You can't wait that long to check on your car fluid levels! We take care of everything! 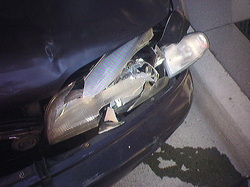 From working with your Insurance company to repairing all damage on your car. We hope you never have an accident, dent, or scratch, that needs repair on your car, but if you do, think of us. We do not just service and repair cars, we now do all types of body work repairs. For more information on this service please visit our Body Shop web page. Thank you. Life is busy, to say the least and with today's technology, Mobil at Hicksville is trying to make things a little easier. If you need to bring your car in for an oil change, tune up, state inspection, new battery, new tires, a strange noise, new wipers, new tail light bulb, check engine light, or any repair, you can now set up a TENTATIVE Appointment via the Internet. Once we receive your appointment request, we will confirm the appointment or contact you if we need to set a different day or time. To set up a tentative appointment please visit our On-Line Appointment web page. Thank you. Sir, your car inspection sticker has expired. 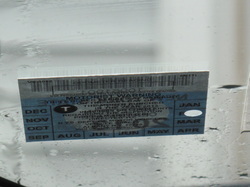 Do you know when your N.Y. State Inspection is due? Forgetting about your car's State Inspection can get you an expensive ticket and even expensive repairs by not catching a problem in time. Please go to our State Inspection Reminder web page right now, fill in the form and send it to us. We can help by sending you an email reminder at the end of the month prior to your New York State Inspection's due date. Please note that this is a courteous service only and getting the inspection done is your responsibility. 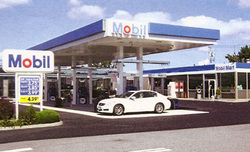 Nevertheless, at Mobil Hicksville we are working hard to save energy and money for ourselves and our valued customers. Besides taking steps to save energy at our Mobil store and repair shop, we are able to repair hybrid cars, help you with all the information on topics such as Ethanol, and direct you to a Free web site (EnergyHotwire.com) that presents details and facts to save energy in your own house. To learn more details about what we are doing to go Green and our Green services, please visit our Green Repair web page for an introduction. Thank you.